Portcullis House was designed & built by Michael Hopkins and Partners in 2001. The need for an extension to the parliamentary estate had been apparent since the late 1980’s. The reconstruction of Westminster Station allowed construction of Portcullis House, a new free standing building with office space, two restaurants, a Cafè & E-Library. 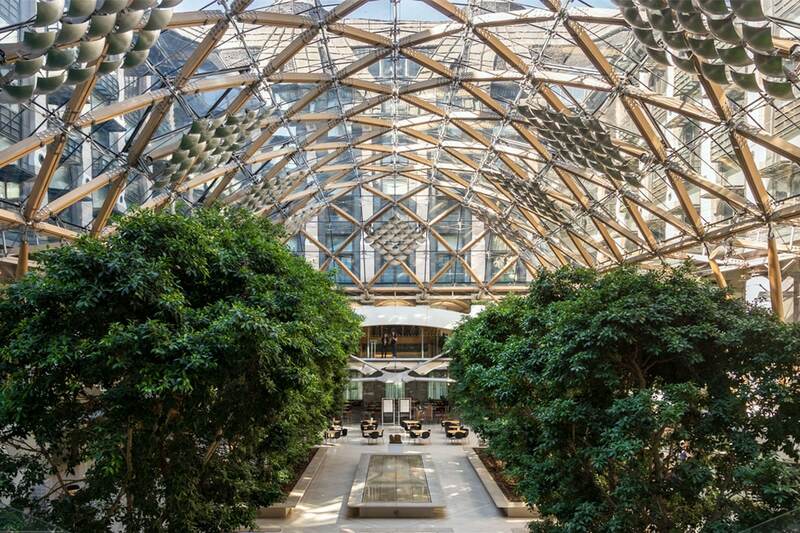 Visitors to Portcullis House can marvel at its spectacular atrium, view the contemporary art collection & take a seat & photo on a replica of a Commons iconic green bench. Other highlights include talks about Parliament & the Palace of Westminster. Visiting Notes | Expect long queues. 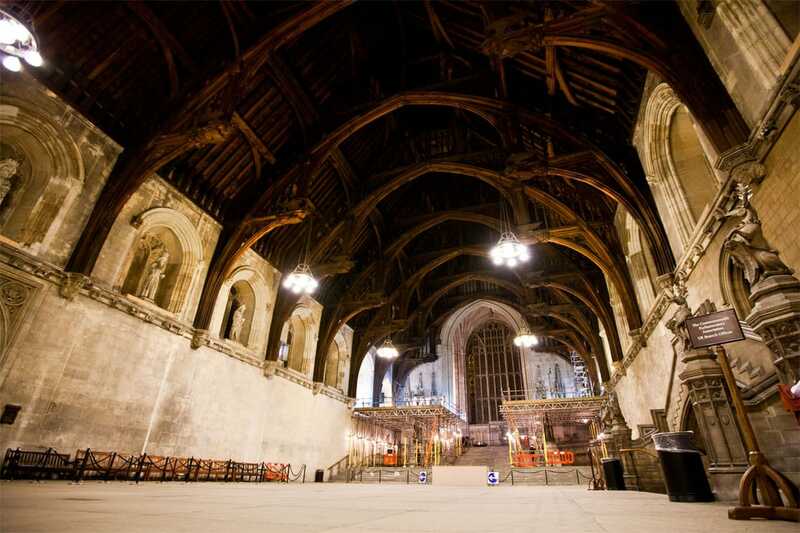 Westminster Hall was built in 1097 under William II (the son of William the Conqueror) & is the oldest building in Parliament. Visiting Notes | Pre-booking is required for St Mary’s Undercroft Chapel Tours. At the time of its destruction by a fire in 1698 Whitehall Palace was the largest palace in Europe. 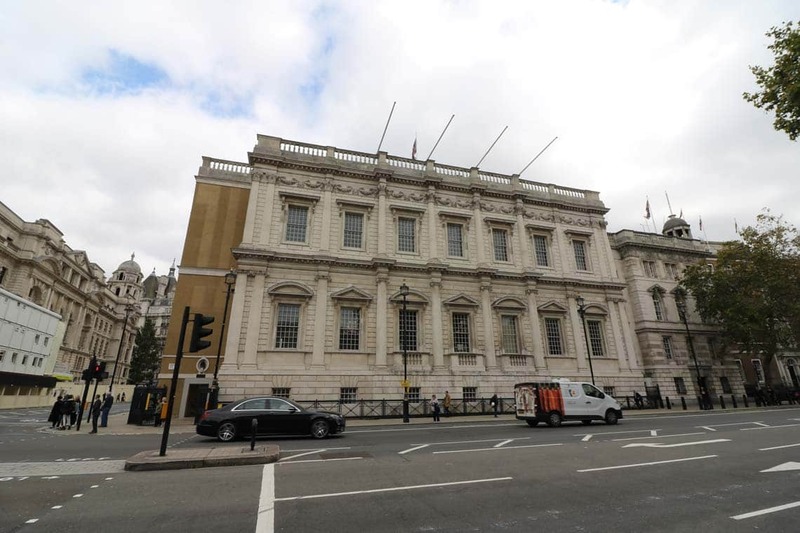 Whitehall Palace was originally called York Place having been established by Archbishop of York Water de Grey in 1240. The most famous resident of York Place, Cardinal Thomas Wolsey expanded York Place to such an extent that it was the largest house in London, second only to Lambeth Palace. After Cardinal Wolsey fell from favour with King Henry VIII York Place was seized (along with Hampton Court) & become the property of the King. York Place was renamed Whitehall Palace & become the home of King Henry VIII & Anne Boleyn, at the time Henry was still married to Katharine of Aragon but the lack of Queens Apartments at the palace meant that Katherine would not live at Whitehall. Henry & Anne set about enlarging Whitehall Palace & an act of parliament in 1536 made the palace Henry’s principal seat. The first Banqueting House was a brick & timber building clad in canvas where Queen Elizabeth I would meet potential suitors & host state visits. Elizabeth’s successor King James I frequently used the Banqueting House as a venue to host performances called Masques. James I commissioned the architect Robert Stickells to construct a larger, modern Banqueting House. Stickells creation proved unpopular with the King & after it was destroyed by a fire in 1619 the architect Inigo Jones was commissioned to build a replacement. The current Banqueting House was completed in 1622, Jones designed it in the Palladian style & the structure was the first Classical building in London. The tradition of hosting Masques in the Banqueting House continued throughout the reign of King Charles I & in 1629/1630 he commissioned the artist Peter Paul Rubens to decorate the Banqueting House’s ceiling with nine magnificent murals. The murals were installed in 1636 & depict scenes from the reign of James I including the Union of the English & Scottish crowns, The Apotheosis of James I & The Peaceful Reign of James I. Visiting Notes | There is no access to the balcony. Visiting Notes | Pre-booking is required for this building. The National Maritime Museum is the largest museum in the world dedicated to maritime and naval history. Opened in 1937 by King George VI the museum is home to over 2 million items including art, charts, maps, memorabilia & artefacts. The fan museum was the first of its kind and is situated in a pair of restored Grade II listed town houses dating from 1721. It is the only museum in the UK dedicated to the history of fans and is home to numerous exhibits & the orangery which serves afternoon tea in a picturesque setting.